The Battlegrounds test schedule has been delayed due to an unexpected issue. Devs have postponed testing of new vaulting and climbing mechanics. Battlegrounds developers at Bluehole are delaying the first test schedule for PC 1.0 to address an unexpected issue they found last week. On October 31, the developers tweeted that the preparation process for the test servers is taking longer than they expected. This is due to an unexpected issue that the team hopes to resolve quickly. By November 2, the team announced that they were unable to solve the issue. Because the new content must be tested for a long, uninterrupted period of time, the Battlegrounds test schedule for PC 1.0 needed to be delayed so that the issue could be taken care of. Therefore we feel that we have to delay the first test schedule for PC 1.0 to allow for a smooth testing of the new features and content. The developer team said they would announce the Battlegrounds test schedule once their problem has been resolved. As of November 6, there have been no announcements yet. The test servers will feature new gameplay mechanics and better optimization for client and server. While vaulting and climbing are primarily the major additions to the gameplay, vehicle driving and ballistics have also been overhauled. According to this Playerunknown’s Battlegrounds update log, a player can cross over structures up to 2.3 meters high. 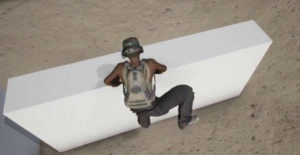 Players with a weapon in hand will automatically holster that weapon when climbing taller structures. Playerunknown’s Battlegrounds version 1.0 is slated for a PC release sometime in late December. In addition, Xbox One owners will be able to enjoy the 100-player carnage by December 12. However, if they don’t resolve the test schedule delays quickly, Bluehole might have to move the game’s version 1.0 release date to next year. Bluehole Previews a New Vaulting System in Development!